Comprehensive in scope and definitive in nature, this volume includes paintings, pastels, drawings, monotypes, prints, photographs, and sculpture representing every aspect of the career of one of the protean artists of the nineteenth century. As a result of extensive research conducted in libraries, archives, and private collections in Europe and North America, dozens of previously unpublished letters and hundreds of little-known documents here provide an unparalleled source of information on the life of this extraordinary artist, bringing to a new level of precision our understanding of his working methods, his subjects, and his patrons. 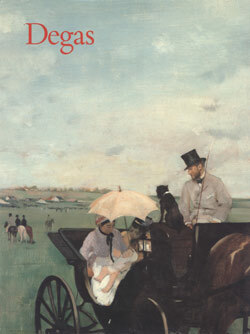 The book is divided into four sections, each corresponding to a period in Degas's life: his work as a student in Rome until the 1872 trip to New Orleans; early maturity, 1873-81; mid-career, 1881-90; and late work, 1891-1912.